Featured amenities include a computer station, express check-in, and multilingual staff. A roundtrip airport shuttle is provided for a surcharge (available 24 hours). This bed & breakfast offers discounted parking nearby. Located in Naples (Historical Center), this apartment is within a 10-minute walk of Port of Naples and Castel Nuovo. 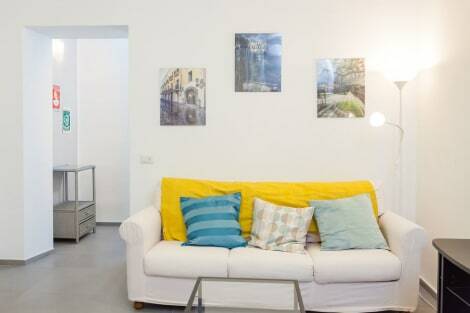 This apartment is 0.5 mi (0.8 km) from Piazza del Plebiscito and 0.4 mi (0.6 km) from University of Naples Federico II. This quiet bed and breakfast offers free Wi-Fi and a quiet setting in a traffic-free area of central Naples. The National Archaeological Museum and the Museo Metro stop are just around the corner from Locanda Dell'Arte. Locanda dell'Arte has air-conditioned rooms with Sky channels and a private bathroom. Room service is available 24 hours a day, and free Wi-Fi is available throughout the property. You can enjoy discounted rates at the next-door La Tana dell'Arte restaurant and pizzeria. A typical Neapolitan breakfast is served directly in the bed and breakfast.